Want to know the latest about new features, get EXCLUSIVE OFFERS, and more? Sign up for our email newsletter. We promise to only send you creepy stuff. Welcome to the Haunting Experience, the scariest of all the Halloween attractions and haunted houses in Minnesota. It is located just a few minutes south of St. Paul, along Highway 61 in Cottage Grove. We invite you to visit us this October…if you dare. We offer a variety of terrifying attractions and the very best in Halloween entertainment. Hop on our fan-favorite hayride attraction and brave the journey past ghoul-filled cornfields and forests. Alternatively, if you’re feeling brave, enter one of the oldest, longest, and scariest haunted houses in Twin Cities, MN. The only thing to fear is fear itself. Or is it? Whatever it is you fear the most, chances are it is lurking around somewhere– in your mind. We’ve been operating out here for over 30 years, so all we can say is, if you dare to come, you’d better not come alone. 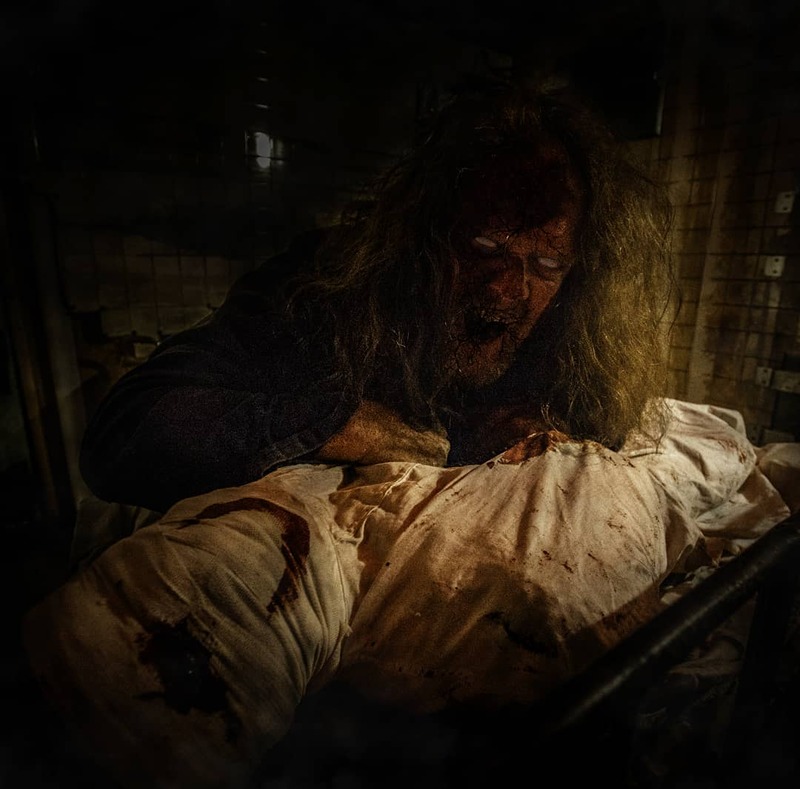 When you visit the Haunting Experience, you will experience the legacy of terror that has made us the premier haunted attraction in MN. Find out why when you enter our terrifying haunted house and ride on the longest haunted hayride in the state. We offer the ultimate Halloween entertainment for those who love a good fright. There’s no group too big for us to scare. Special group rates are available for groups of 20, 50, and 100. We welcome guests of all ages, as long as you can handle what awaits you here. We have free parking and are fully wheelchair accessible. Our ghouls and other creatures won’t melt under the rain; rain or shine, they’ll still be prowling about and ready to give you the scare of your life. Gather your bravest friends and join us for a night of spooks and fun you’ll never forget. If you live through the experience, that is. The Zywiec Family established the Haunting Experience as a Halloween attraction in Minnesota back in 1986. Since then, our complex features the perfect team of scare-actors, artists, builders, and human oddities. Together, we bring you an intensely scary haunted house experience, a humorously eerie haunted hayride, a twisted carnival, and mouthwatering concessions. Visit the Haunting Experience on Highway 61 this Halloween season, and enjoy the scare of your life! Over 30 years. A Legacy of Terror. The Haunting Experience on Highway 61 offers the best Halloween events in the Twin Cities. Including a terrifying haunted house with outdoor maze, the longest running haunted hayride in the State of Minnesota. Located in Cottage Grove, MN Zywiecs Haunting Experience has become the premier Haunting Experience in the Twin Cities, MN area. 10900 E. Pt. Douglas Rd.